We just got in an armful of sweet little project bags from Della Q. 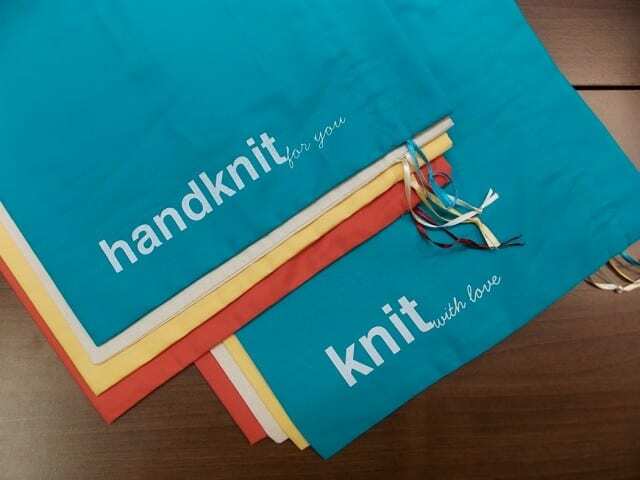 These brightly colored drawstring bags have a small pocket inside, and are decorated with text that allows them to double as reusable gift-wrapping. Come by the shop to snag one for yourself or a friend, and check out our other bags and accessories.